Please fill out my survey! Please fill out this short survey for my grad class. It will take less than 5 minutes, the answers are completely anonymous, and you will forever have my undying gratitude (as well as my professor’s). Why is it important to discuss crowds in relation to business, the Internet and online communities? How do crowds act online, why should we pay attention, and how can businesses effectively capitalize on crowd behavior to promote participation and loyalty among consumers? 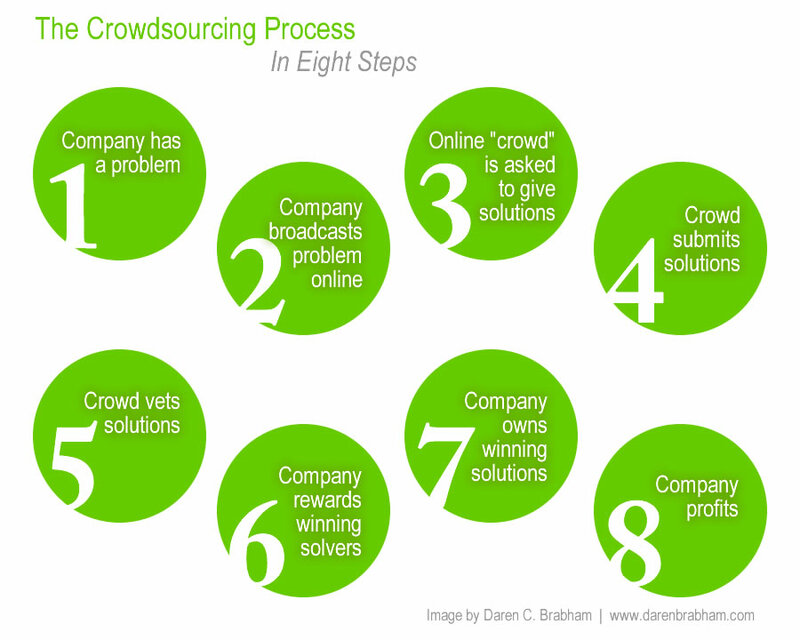 And what is “crowdsourcing”? Originally defined by Howe in a June 2006 Wired article , crowdsourcing is a revolution that involves “cheap production costs, a surplus of underemployed talent and creativity, and the rise of online communities composed of like-minded enthusiasts” (5-6). Or, as Howe defines it on his blog, crowdsourcing is “the application of Open Source principles to fields outside of software.” In the book, Howe does an excellent job of explaining both the history of and theories behind crowdsourcing. Using examples of how certain companies (Threadless, InnoCentive, Etsy, Wikipedia, iStockphoto) became successful while employing business models that engaged the online consumer, Howe notes crowdsourcing is the “antithesis of Fordism” (14). Online communities, where collaboration and commitment are their own rewards to users, are at the center of crowdsourcing. 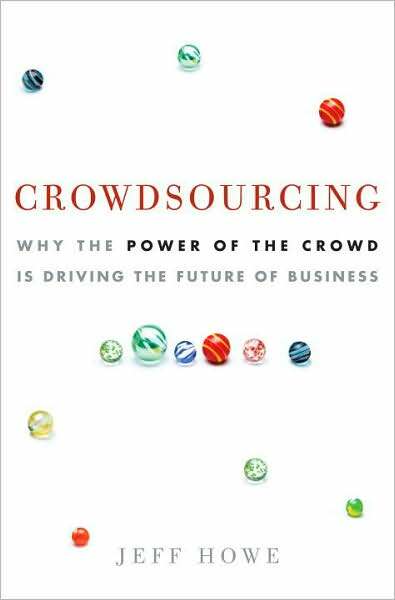 “Crowdsourcing accelerates the globalization of labor and economic dislocation we see in outsourcing. Like the Internet, crowdsourcing has no boundaries” (17). 1. Renaissance of amateurism: The gap in knowledge between the experts and the rest of the populace is shrinking. The Internet makes it more difficult to restrict information, so amateurs and professionals alike have access to the same information. Where once professionals reigned, “the self-organizing community of amateurs shoulders a significant degree of the labor” (32) in various industries (ie, iStockphoto for photography). the work is broken down into small, discrete tasks (aka “modules”). Howe notes that open source works efficiently because “a large and diverse labor pool will consistently come up with better solutions than the most talented, specialized work force” (54). He discusses the evolution of Wikipedia as the perfect example of crowdsourcing based on Open Source software principles. 3. Increasing availability of tools of production: The widespread availability and decreased price of means of production empower crowds to take part in a process long dominated by companies and industries (71). Such tools allow amateurs the opportunity to be both a producer and consumer. Corporations such as Google (YouTube) and News Corp. (MySpace) capitalize on user-generated content to make money off ad sales. Electronic word-of-mouth, such as bands on MySpace, becomes a marketing strategy that doubles as a distribution strategy. This is the democratization of media in action. 4. Rise of vibrant online communities organized around people’s interests: Howe defines the crowd as “the Billion” of people worldwide who have Internet access. This is the size of the potential crowd who can contribute to crowdsourcing projects. Howe emphasizes that community is the asset to crowdsourcing, and geography and common interests are potent forces in creating online communities. 1. Diversity trumps ability: Studies that show a large, diverse group of people will have an equal if not better ability to solve a problem than a small, homogeneous group of high ability. Why? Individuals each have knowledge or talents that, when shared with a community, create unparalleled collective intelligence. A diverse array of approaches to solving a problem will allow the problem to be solved more quickly than people who all have the same knowledge and ability. 2. 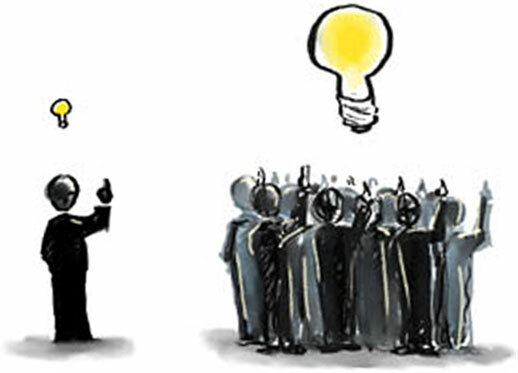 Collective Intelligence in action: Howe discusses “idea jams” and crowdcasting, which are efforts at customer collaboration to create solutions to problems that don’t exist yet (159). Dell IdeaStorm, the Netflix algorithm challenge, and InnoCentive are examples of crowdcasting networks and prediction markets that utilize collective intelligence. 3. What the Crowd Creates: Here, Howe explains the role of the top 1% of contributors, or “creators,” in an online community, and how they are fundamentally changing how work gets done. The crowd’s heaviest users need to have meaningful incentives for contributing – it’s not about the money (although it can be a welcome byproduct). Creators need to have a sense of ownership over a site in a company’s transition from professional to community production. 4. Filtering the crowd: The 1:10:89 rule says that for every 100 people on a given site, 1 will create something, 10 will vote on it, and 89 will consume it. (Think American Idol). Communities don’t need to have a 100% active user base in order to be thriving and vibrant. It’s the 10% who filter the 1% creators, ultimately determining what is valuable (and not paying attention to the crap) and thereby making the community and its information meaningful. (Think Digg). 5. Crowdfunding: Also known as “social banking,” crowdfunding taps the collective pocketbook so people can finance projects they believe in on their own terms, on their own timetable. The concept directly connects people with money to people who need money. Kiva.org, the person-to-person microlending site endorsed by Bill Clinton, is a perfect example of crowdfunding. However, Howe spends little time – except in the forward – discussing the potential downfalls and criticisms of crowdsourcing. Clearly, the ethical and economic issues raised by crowdsourcing are debatable. Certain businesses — Howe mentions the uproar over crowdSPRING and 99designs in the design community — denounce crowdsourcing because too many artists are providing free spec labor and not being compensated appropriately. Since there are no written contracts in crowdsourcing, critics believe that contributors can be exploited, and it may be difficult to manage large-scale crowdsourced projects. As Howe mentions, any successful crowdsourcing community needs to have a guide to organize the crowd — without two-way communication from the source to the crowd, users will leave or not contribute meaningfully. While I believe that crowdsourcing is fundamental and crucial to today’s — and the future’s — online marketplace, there is no question that a company needs to provide a framework for the crowd to work successfully. Here are some current examples of crowdsourcing. Crowd: what do you think? Ever Use a Crowd to Learn Something? As a newbie blogger, I am still familiarizing myself with the wonderful world of WordPress and its various functionalities. As I’ve been experimenting and growing more comfortable with the WordPress blogging platform, I have been thinking that my site looked a little thin. What could I do to drive more traffic to my blog, and make my posts worthwhile to viewers who may have just stumbled across (or upon?) my blog? Site architecture: needs to be logical and organized in a common sense way. There should be an hierarchal context for arranging information that reinforces the theme that site is trying to convey. Rearranging the backend (which Google crawls) can greatly impact SEO. Keywords: they only as important as they should honestly reflect your site’s content. Credibility is key – just as you want to present yourself and your business honestly, Google’s search algorithms will detect spam-like usage of keywords. And, like site architecture, keywords and navigation need to be logical and make sense to a user. Inbound links should be quality and relevant. Always listen to Google over SEO experts. Monitor Google trends: if a company or brand is trending in the news, write a blog post about it. It’s a great way to build your content and drive relevant traffic. Links: Posted links to my blog on Facebook, Twitter, LinkedIn. Keywords tags: Revised older posts to include relevant keyword tags. RSS: Added widgets for RSS feeds from my favorite sites, including links to my Twitter page and a “subscribe” button. Focusing on my audience: WordPress.com has limited functionality (as opposed to WordPress.org, which is more flexible and customizable, but I’m not familiar with CSS quite yet). Yes, my blog is geared towards my class, friends and family. But I also want to use it as a calling card for potential employers. No flowery or gimmicky images. I want to show that I am comfortable working with WordPress while not compromising my personality. What do consumers want? TRANSPARENCY, AUTHENTICITY AND COLLABORATION. When do they want it? NOW…IN REAL TIME! How do they want it? ONLINE, OFFLINE, ON THE MOVE, EVERYWHERE. Why should corporations pay attention? BECAUSE HAPPY CUSTOMERS ARE GOOD CUSTOMERS. So how can corporations use social media effectively in order to provide a relevant, engaging experience for consumers instead of seeming like they are simply touting their own horn? 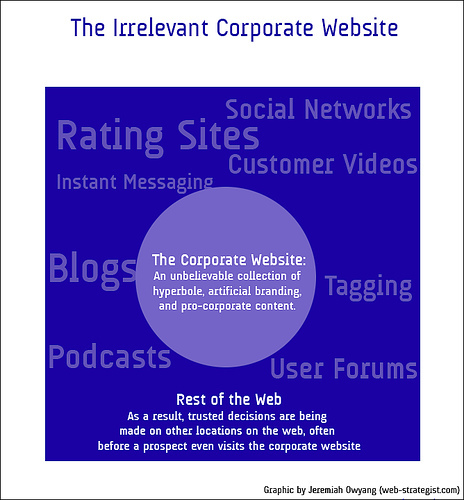 The idea of corporate websites already seems outdated. Of course, major companies need to have an online presence, but consumers no longer need to perform a directed search in order to find out about a company’s products or best practices. Jeremiah Owyang succinctly explains how the evolution of peer feedback — through blogs, social networks, rating sites, etc. — has made traditional web marketing irrelevant. In order to stay on (or ahead) of the curve, companies need to approach marketing as a collaborative effort with consumers, as opposed to a two-way “we’re selling/you’re buying” paradigm. As a specific example, Jeff Jarvis discusses Starbucks’ development of MyStarbucksIdea.com, an open forum in which customers make suggestions, other customers can vote on and discuss them, and then Starbucks can track which ideas are gaining popular support. Starbucks employs “idea partners” that follow and moderate discussions, and then work to implement customer suggestions on a corporate basis. Not only does such interaction promote transparency and authenticity, but it allows a company and it’s customers to grow together organically. 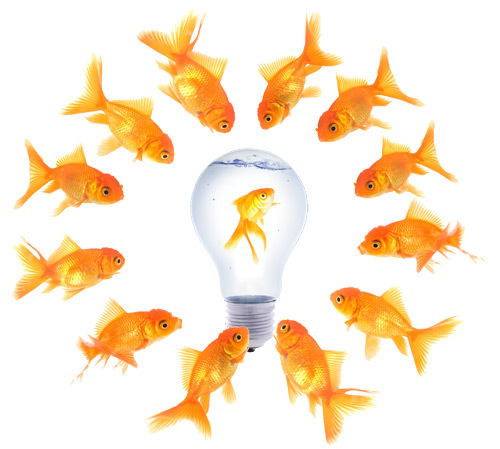 If a customer idea succeeds or fails, the participating customers hold some accountability. It also allows for product innovation, customer loyalty, and evangelism by key customers across networks, which holds massive power for expanding and sustaining business. While any forward-thinking company needs to have constant consumer engagement, I wonder how such transparency could affect a company’s competitiveness. Is too much transparency possibly dangerous for a company who wants to maintain an unique brand? If discussion is open to all consumers — including competitors — how does (or can) a company “own” consumer ideas posted within a corporate context to prevent poaching? Can consumer suggestions be considered intellectual property? This would be an interesting discussion point with our upcoming speakers. Q: What advice would you have for a beginning community manager? Community management is both a learnable skill and a personality trait. The best community managers (CMs) that I know have survived the long term are active listeners, strong relationship builders, and see themselves as a voice for the members. They are resourceful people and always looking to find ways how members can help others rather than trying to be gatekeepers or central clearinghouses of information. CMs generally “work” for the sponsor, whether officially or otherwise. They voice the ideas, feelings and pulse of the community to the sponsoring organization, but they are also not “willows” who bend entirely to the will of the community. As a new CM it is important to understand not just how you are to serve people, but also what you need to produce or deliver and how to measure them. If these are countable in distinct ways, then you have a way to capture metrics. Otherwise, if these are qualitative ideas and results, then you have relevant stories that may be representative or repeated across the community. My suggestion when it comes to metrics is to look for repeatable ideas or artifacts relative to what your community is doing. They should be meaningful towards delivering the end business goals, even if they are only parts of the whole picture. Megasites vs Niche Communities. Rap vs Comedy. And mobile food trucks. Curtis Jewell of mycypher.com: a site dedicated to bringing together the global hiphop community. Artists have the ability to use an online recording tool (on mobile device or computer mic) and upload their beats, thereby democratizing the recording process. The site is still in beta testing but you can request an invite to join. Josh Spector, SVP of Content and Marketing for comedy.com: a guide to what’s funny right now on the web, hosting the best of web and TV comedy videos. The site has 3 million unique monthly visitors. Ben Gigli and Sean Stevens, APOC alumni, and creators of awesome niche sites including 5secondfilms, hotgirlsandexplosions and wheresmytaco. Facebook, Twitter, MySpace, etc., are third party tools that allow people to create communities, but are not necessarily communities in and of themselves. It’s imperative to know and understand these different tools and the people they attract in order to build the broadest consumer base. These existing networks help to establish and leverage partnerships. What’s in a domain name? These days the domain is usually overrated, and frankly it’s probably more beneficial to have a specific domain (5secondfilms) versus a broader name (comedy.com) as it’s tough to build a brand on a broad concept. The more niche the site and the domain, it may be easier to self-promote across third party tools, as consumers can perform a more directed search. It’s difficult to build on technological and business platforms that you can’t control. For example, Facebook began to block generic fan pages (ie, “Laughing” or “Sleeping in late”), which prompted businesses to lose built-in audiences because they could no longer control status updates that lead back to their brand. Changes in Facebook privacy and technological policies can therefore directly affect web traffic, and niche sites in particular can become a victim of third party platform changes. Obviously, there are different approaches to revenue models depending on the type of site. The general consensus is that advertising is a good ancillary (as opposed to primary) revenue stream, and venture capital money tends to stretch the farthest when you know what you want and what works best for your site (which will likely happen through trial and error). Overall, there was a lot of information to sink our teeth into. I’m personally looking forward to understanding how to monetize and create a business platform for various revenue streams. Because making money would be a good thing. And Curtis’ multi-language rap was pretty awesome.